Bluffing is what makes poker such an interesting game. Without it, the best hand would always win. But do professional players do it? Read this article and find out. Professional Poker Players: Do They Bluff? As long as there are people playing poker games, there will be people trying to win by bluffing. However, to bluff successfully is not an easy thing to do, especially when you play against experienced players. Then again, it’ll sound weird, but if you’re into bluffing, you should do it only against them, rather than novices. The reasoning behind this is that new players don’t yet know how to judge an opponent’s, or their own at that, hand properly. They think in single-hand possibilities, instead of ranges. For example, they imagine you might have Two Pairs, and they stick to it without considering other options. On the other hand, thinking in ranges means that you take into account all possible hands your opponent might have. Additionally, due to their inexperience, newcomers to the game tend to call pretty much any raise you make without much logic to it. With that in mind, bluffing doesn’t make much sense when the whole point of a bluff is not to get called. Alternately, experienced players will take more time evaluating your hand, and as a result, are more likely to fold and not take a risk. So do the best poker players in the world bluff? The answer is yes — all the time. The thing is, bluffing is what makes this game great. Imagine playing Texas Hold ‘Em and have the best hand win every single round. What’s the point of playing like that? That’s like watching sports while knowing that the favorites will never lose. Professional poker tournaments are full of bluff moves. It’s essential to the game. However, the difference between them and us is that they have more knowledge of when it’s a good idea to bluff and when it’s not. The most common occurrence that happens in a professional game of poker is a semi-bluff. A semi-bluff is when you don’t have a good hand on the flop, but there’s a potential you might get it on the turn or on the river. For example, the flop reads Seven of Clubs, Jack of Hearts, and Three of Clubs. Now, if you have two Clubs in your hand, say Five and Ten, you don’t have a strong hand at all. But with two more cards that will enter the game, you have the potential to end up with a Straight or a Flush. So if you make a raise, you’re semi-bluffing, as it’s not a complete shot in the dark. Another thing that pros focus on is making bluffs earlier on in the game. As the game progresses, your bluff has smaller and smaller chances to succeed. You see, with more community cards on the board, your range of hands narrows, and if other players have a strong enough hand, they’ll call your bets. You stand to lose a lot of money if you misjudge the situation. Being a pro at poker demands of you to know how to pick and choose your battles. So when you do do it, do it earlier on and be brave to push on. If you raise pre-flop and after that make a continuation bet, your opponents will be nervous to call you. Continuation bets (or c-betting) is when you back up your pre-flop bet with another raise afterward. This makes you look like you’ve landed something good on the flop and other players will be less likely to follow. Lastly, another trait of professional players is a float bluff. Essentially, that’s holding out when you have a strong hand. Let’s say that, after the flop, you have a hand of three Kings. To make a float bluff in this position would be to check. Not letting on that you’re confident in your hand would lead other players to commit. So call their bets shyly and raise in the later streets. Being patient can lead to great profits. 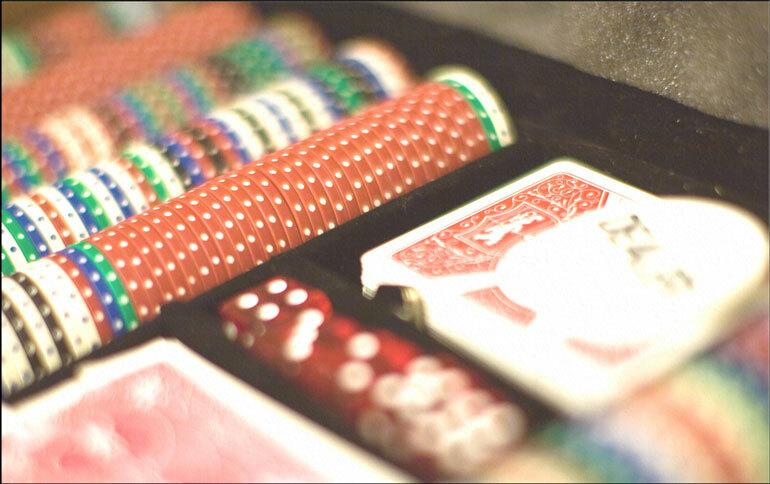 When playing cash games online, it’s easier to get away with a bluff. When you’re still in the early stages of your poker-playing career, playing online will help you get the experience you need. The advantage of going online is the ability to avoid any tells your body language gives away. You don’t have to stress about whether it’s noticeable in your eyes that you don’t have anything yet and are looking for a Flush draw or a Straight draw. With the addition of pocket cams in the early 2000s, which allowed TV viewers to see players’ hole cards, the popularity of televised poker tournaments rose. Thanks to this, we now have on record some of the greatest bluffs professional players have pulled off. Sara Chafak, crowned Miss Finland in 2012, kept raising and raising in every betting round, until she finally went all in after the river. All she had in her hand was an Ace-high, and she was going up against Bardah, who was holding three Fours. A pot of $1,3 million went to Chafak, as Bardah couldn’t read anything in her body language to guess she was bluffing all the way. As the TV presenter said it himself: “I know it’s early in the century, but this might just be the bluff of the century.” In 2003, Sam Farha, an established professional poker player known for being able to read other players’ cards, played heads-up for the Championship against Chris Moneymaker, an accountant. Farha had a pair of Nines, while Moneymaker had nothing. 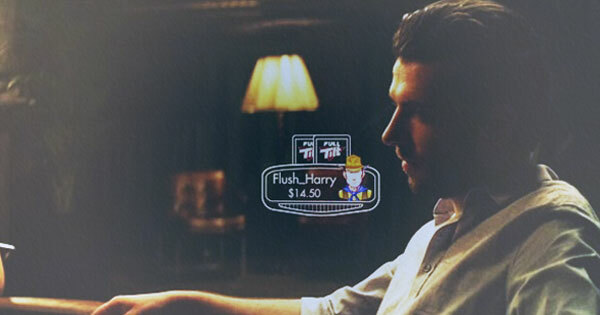 After checking on the flop, Moneymaker re-raised Farha’s turn bet and went all in, knowing that all he had was a King-high. Reluctantly, Farha folded his cards and handed over a $2,5-million prize to an amateur who got there by winning a satellite tournament with a $39 entry fee. Tom Dwan is famous for his bold and creative ways of bluffing. He’s one of the best in that regard. In this instance, it was an eight-handed pot, but after Dwan’s raise on the flop, he was going up against only Barry Greenstein and Peter Eastgate. Greenstein was holding pocket Aces, while Eastgate had three Twos. Dwan was holding the weakest hand, as he had a pair of Tens. But that didn’t stop him from continuously raising the pot. After the turn (which was a Seven and brought him nothing), he made a $104,200 raise, making the whole pot worth almost $240,000. It was too much for the other two, and Dwan took the money. He also (quite smugly) said that Eastgate had the best hand, which was true. Bluffing is a crucial component to the game of poker, and professional players do it on a regular basis. However, to master the art of bluffing, it takes years of practice and learning how to read both the game and your opponents. When you learn when to bluff and how to hide the fact that you’re doing it, making bold bets will start bringing in real money. For example, Phil Ivey is not one of the best because he avoids bluffing — he’s famous because he knows how to do it.